How do I search for older New York Times articles? - Ask Us! Q. How do I search for older New York Times articles? I know I've done it before, but I can't remember how. 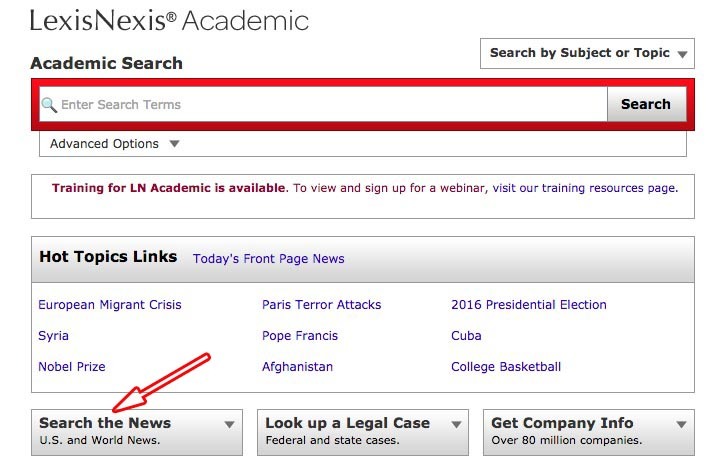 If you are looking for older articles from 1980+, use LexisNexis Academic. For older years, use the Historical New York Times. 1. 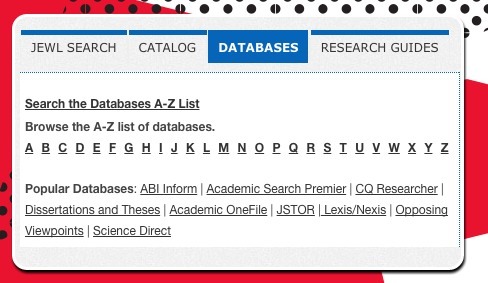 Go to the Library homepage and click on DATABASES. 2. 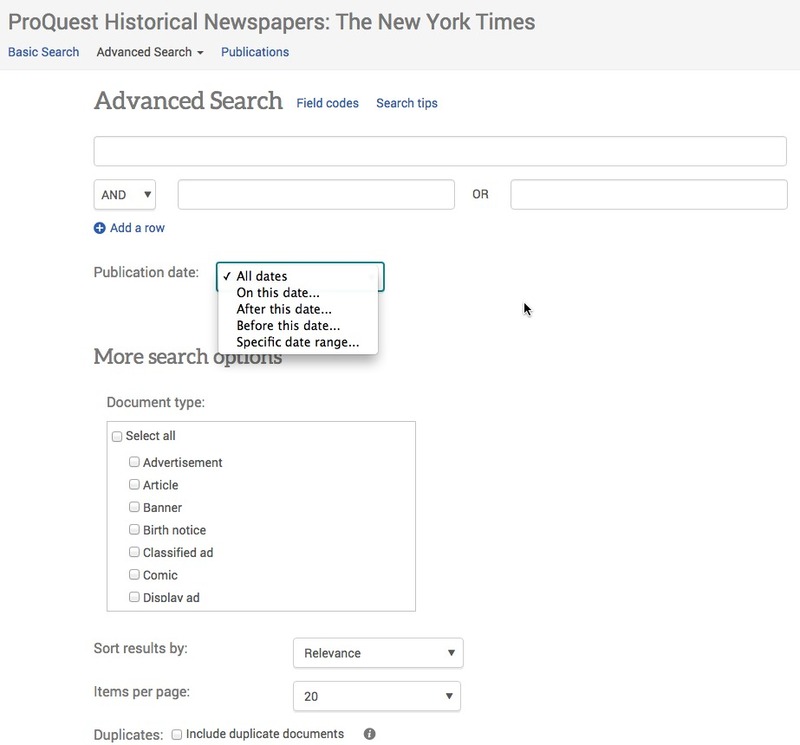 Select H and click on Historical New York Times. You can enter keywords, and limit by publication date, document type then press Search. 1980-current; also - abstracts only for 1969-1980. NYT article retrieval in Lexis Nexis is via keyword searching only. 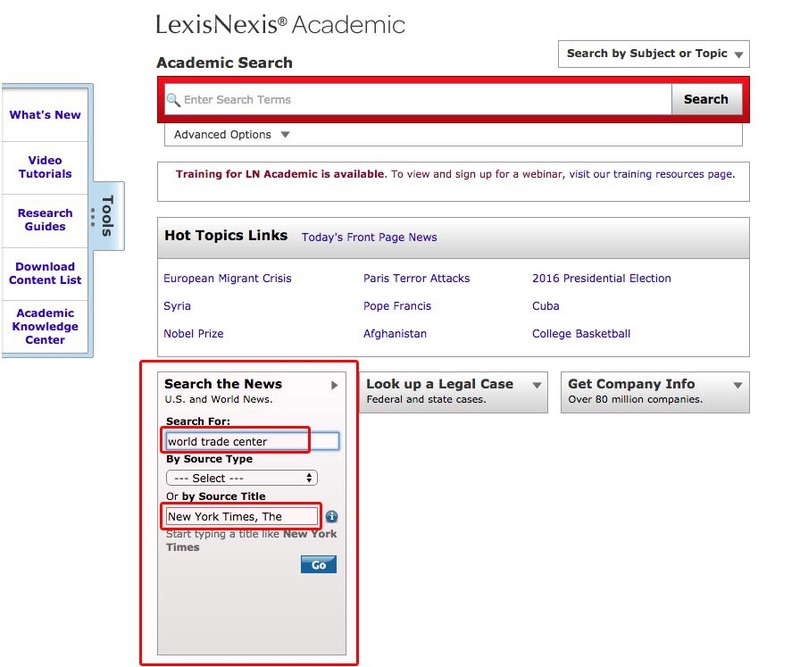 Lexis Nexis does not support browsing thru all major articles appearing in a given issue(s) of the NYT newspaper. Plain article text only is provided. Page images are not available. Locate the Search the News box. 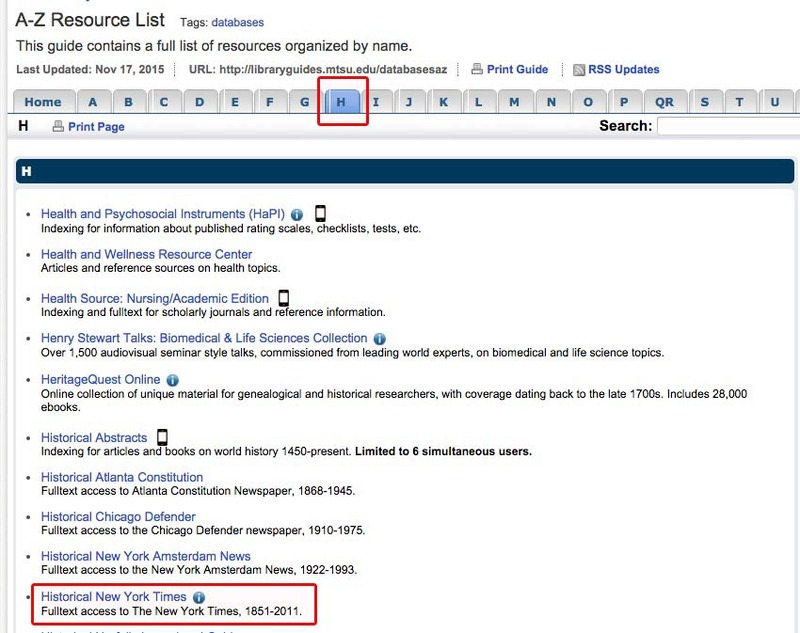 Click the down arrow in the Search the News box to select The New York Times as the source. A list of articles will appear. Click on the article link.